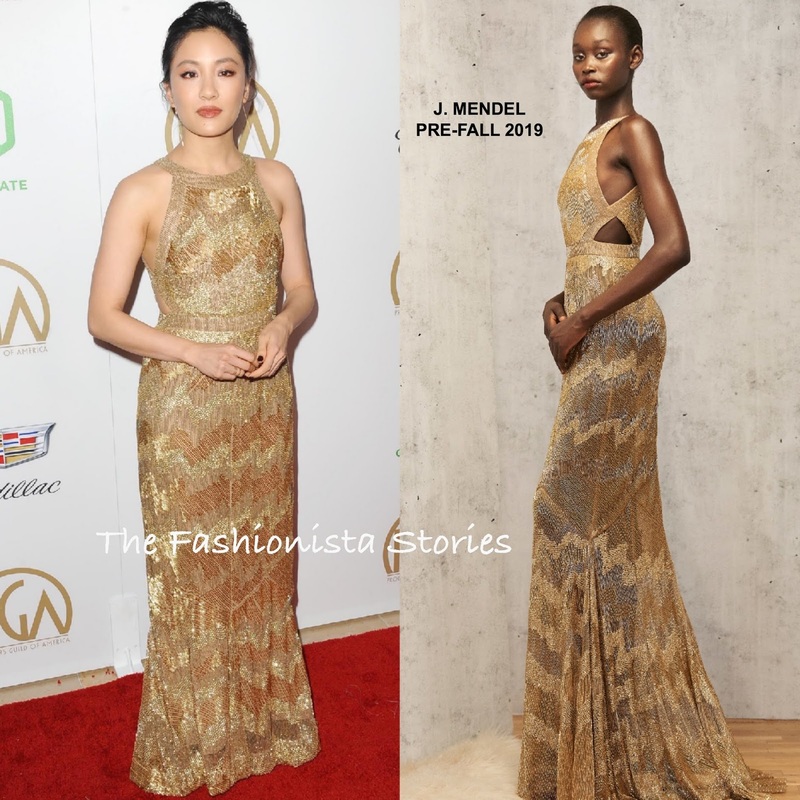 Constance Wu was one of the presenters last night(January 19th) during the 30th Annual Producers Guild Awards at The Beverly Hilton Hotel in Beverly Hills, CA. Taking the sparkly route, she wore a J. MENDEL PRE-FALL 2019 gold beaded gown, featuring triangle cutout sides. So that the gold hue doesn't wash her, A colored lip was added to her beauty look. Keeping the styling of her look simple, she accessorized with gold jewelry and finished up with a complimentary up-do.